On Sunday we walked down to P3 opposite Madame Tussauds to see the Kinetica Art Fair. It was great fun. 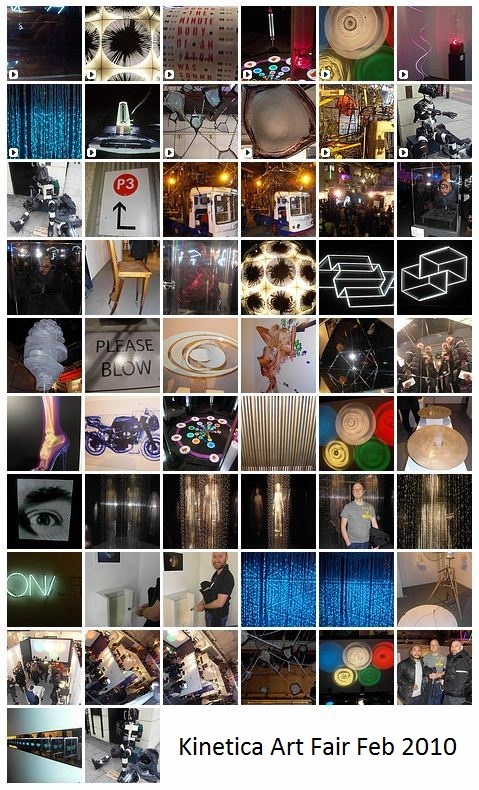 Lot's of moving art, light shows and optical illusion art. Kinetica Art Fair is produced by Kinetica Museum and is the first of its kind in the UK. It provides collectors, curators and the public with a unique opportunity to view and purchase artworks from leading contemporary arts organisations and artists specialising in kinetic, electronic, robotic, light, sound, time-based and interdisciplinary new media art.